Schlosser started his career as a journalist with The Atlantic Monthly in Boston, Massachusetts. He quickly gained recognition for his investigative pieces, earning two awards within two years of joining the staff: he won the National Magazine Award for his reporting in his two-part series "Reefer Madness" and "Marijuana and the Law" (The Atlantic Monthly, August and September, 1994), and he won the Sidney Hillman Foundation award for his article "In the Strawberry Fields" (The Atlantic Monthly, November 19, 1995). Schlosser wrote Fast Food Nation (2001), an exposé on the unsanitary and discriminatory practices of the fast food industry. Fast Food Nation evolved from a two-part article in Rolling Stone. 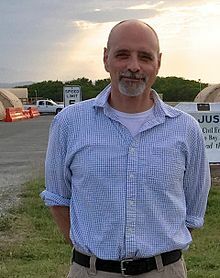 Schlosser helped adapt his book into a 2006 film directed by Richard Linklater. The film opened November 19, 2006. Chew On This (2006), co-written with Charles Wilson, is an adaptation of the book for younger readers. Fortune called Fast Food Nation the "Best Business Book of the Year" in 2001. Schlosser's book Command and Control: Nuclear Weapons, the Damascus Accident, and the Illusion of Safety was published in September 2013. It focuses on the 1980 Damascus Titan missile explosion, a non-nuclear explosion of a Titan II missile near Damascus, AR. The New Yorker's Louis Menand called it "excellent" and "hair-raising" and said that "Command and Control is how nonfiction should be written." It was a finalist for the 2014 Pulitzer Prize for History. Schlosser appeared in an interview for the DVD of Morgan Spurlock's Super Size Me, having a one-on-one discussion with the filmmaker about the fast-food industry. He did not appear in the film itself. He was interviewed by Franny Armstrong in 2005 and is a feature interviewee in her film McLibel. He co-produced Food, Inc. (2008), with Robert Kenner. Schlosser also served as co-executive producer on the 2007 film There Will Be Blood. In 2014, he was an executive producer of the farmworker documentary Food Chains, a credit he shared with Eva Longoria. They both won a James Beard Foundation Award for their roles. Schlosser also shared a director credit for the multimedia installation entitled "the bomb", an experimental film about nuclear weaponry coupled with a live score by The Acid. ^ a b c "Shuana Redford Married In Utah". The New York Times. October 6, 1985. Archived from the original on 2018-01-21. ^ Seabrook, John (22 October 2001). "Dept. of Second Chances: A Mothballed Mural". The New Yorker. Retrieved 2014-05-12. ^ "Felicia Warburg Becomes Fiancee; Bennington Alumna Engaged to Robert William Sarnoff, Son of R.C.A. Head Strauss". The New York Times. April 27, 1950. ^ Kahn, Jeremy (2001-12-24). "Best & Worst 2001 Honest CEOs. Harebrained ad campaigns. Appalling outfits. They've all earned a place on our year-end list". money.cnn.com. Retrieved 2011-05-10. ^ "Reefer Madness". National Review. Retrieved 2011-05-10. ^ "What Is America Smoking?". BusinessWeek. 2003-05-19. Archived from the original on 2011-09-10. Retrieved 2011-05-10. ^ Greta Johnsen. "Five Books To Read This Fall". ^ Mead, Walter Russell (2013-09-12). "Atomic Gaffes: Command and Control by Eric Schlosser". The New York Times. Retrieved 2013-09-18. ^ McKinley, James (2012-10-05). "Fast Food Nation Author Will Return With Book on Nuclear Weapons". The New York Times. Retrieved 2012-10-06. ^ Menand, Louis (30 September 2013). "Nukes of Hazard". The New Yorker. ^ "The Pulitzer Prizes | Citation". Pulitzer.org. Retrieved 2014-05-12. ^ Mintzer, Jordan (11 February 2017). "'the bomb': Film Review | Berlin 2017". The Hollywood Reporter. Retrieved 2018-02-05.